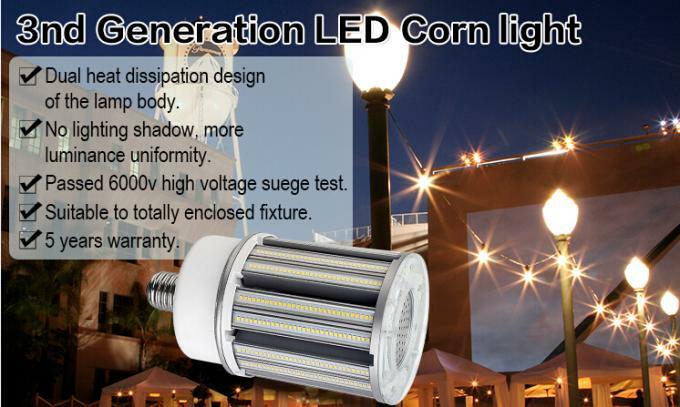 16W to 120W led corn bulb is the perfect replacement of traditional HID/MHL/HPS lamp. There is smaller size 16W/22W with diameter 60mm, suitable for more fixtures. 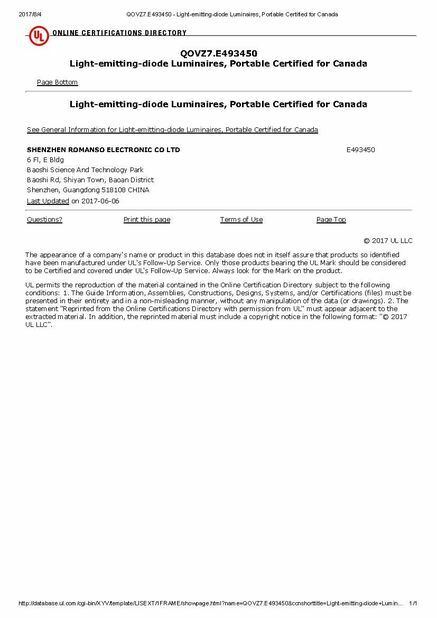 The whole series can be used in totally enclosed fixtures. 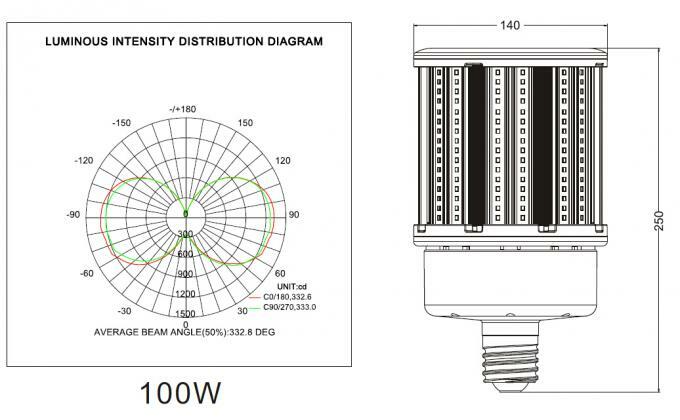 Internal driver without Fan design provide longer lifespan. The driver passed 6000V surge test. 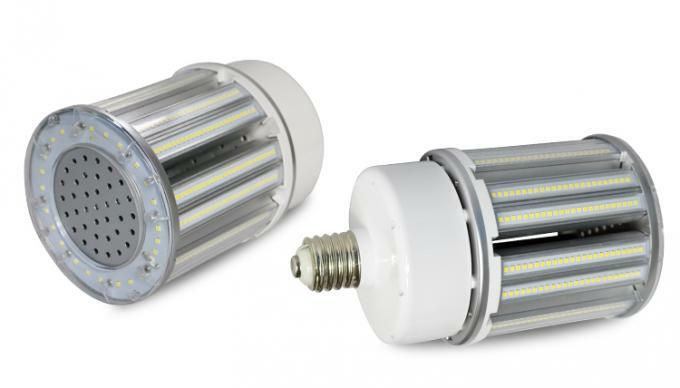 There is more 15% LED quantities than regular products in market, offer 135lm/w. 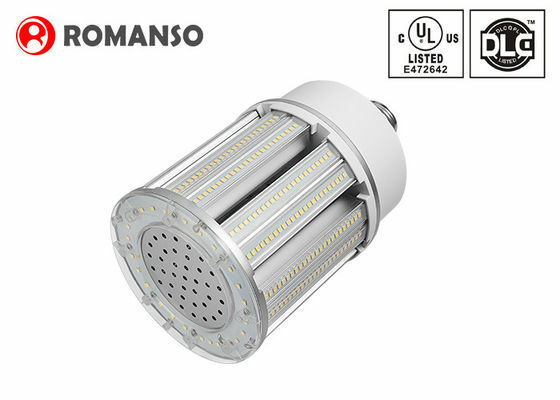 This series add 20-25% LED plates provide improve luminance uniformity. 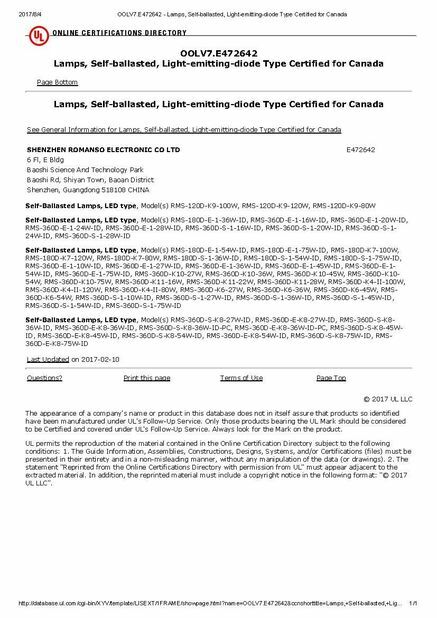 This bulb is unique dual heat dissipation design with DLC UL LM80 certification, provide 5 years warranty.